Flaxseed oil is a source of the essential omega 3 fatty acid called Alpha Linolenic Acid (ALA), which has been shown to support normal cholesterol levels*. In the body, ALA can be converted into Eicosapentaenoic Acid (EPA) and Docosahexaenoic Acid (DHA) which are the omega 3 fats found in oily fish. Simply Supplements super strong Flaxseed Oil 1,000mg supplement also contains Linoleic Acid (omega 6) and Oleic Acid (omega 9). Like ALA, Linoleic Acid is not produced naturally in the body and therefore it needs to be consumed through diet or supplementation. Simply Supplements Flaxseed Oil 1,000mg supplement is ideally suited to provide high-quality nutrients in a convenient form. 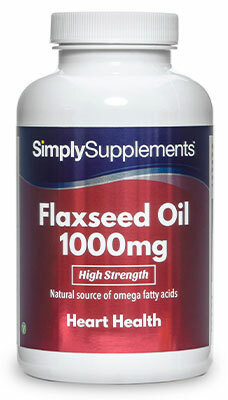 Should I Take This Flaxseed Oil 1000mg Supplement? Heart health can be affected by a variety of different factors, such as natural ageing, diet, exercise, injury, trauma, stress and ongoing medical conditions. The heart is primarily made of muscle and needs to be exercised and taken care of to ensure it works at optimal capacity. 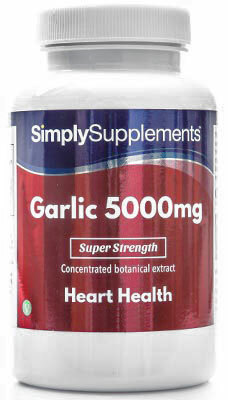 By supporting your diet with Simply Supplements super strong Flaxseed 1000mg you may be able to support cardiovascular health by maintaining normal cholesterol levels. The delicate oil within flaxseeds is susceptible to damage from heat and air. To counter this problem, it needs to be extracted using an advanced cold-pressing technique at consistently low temperatures. In order to preserve the nutritional benefits of the oil, this natural process involves no heat or chemicals. 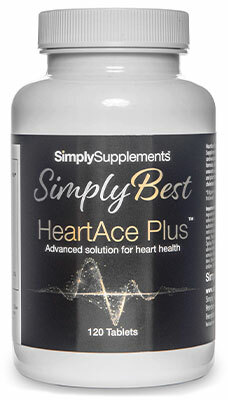 Simply Supplements work with outstanding, industry-leading suppliers who have perfected the art of extracting flaxseed oil to help make the Flaxseed 1000mg supplement one of the strongest on the market. Flaxseed oil is fast becoming a popular choice for people seeking a fish-free source of omega 3. 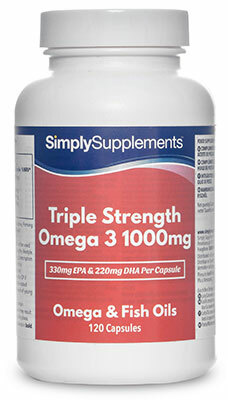 Simply Supplements high strength Flaxseed Oil 1000mg provides a potent omega 3 to omega 6 ratio for general health and wellbeing. In order to help fortify the ingredients contained in Simply Supplements Flaxseed Oil 1000mg supplement, an advanced manufacturing process is used to purify and refine components. All ingredients are thoroughly purified to eliminate foreign contaminants and toxins that may affect the nutritional quality of the supplement. When packaged, the Flaxseed Oil 1,000mg supplement utilises an easy-to-open, airtight seal that helps to prolong freshness. 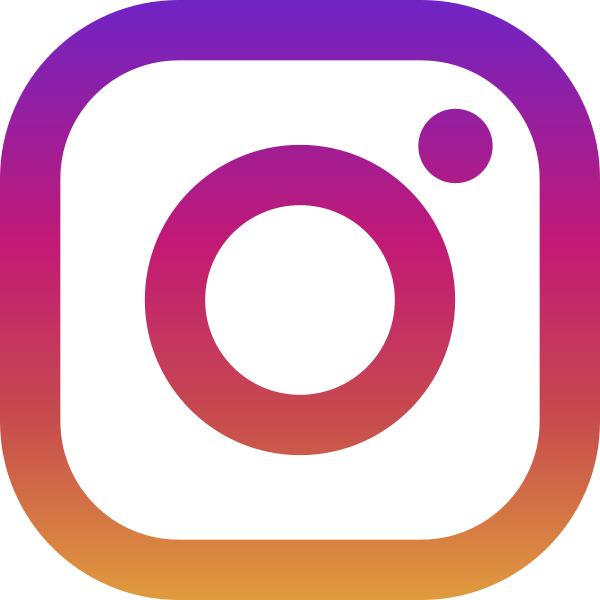 All of Simply Supplements products are manufactured by our suppliers in the UK in accordance with the strict quality standards and regulations outlined by the Good Manufacturing Practice (GMP). Other Ingredients: Gelatin, Glycerol, Purified water. 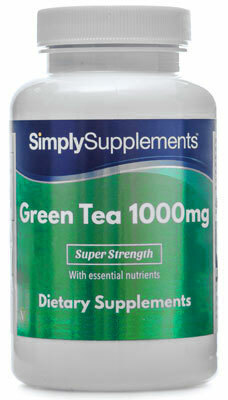 Take three capsules daily as a food supplement or as directed by a healthcare professional. Store in a cool dry place. Keep away from children at all times. Do not open if the seal is broken.